Hey all. 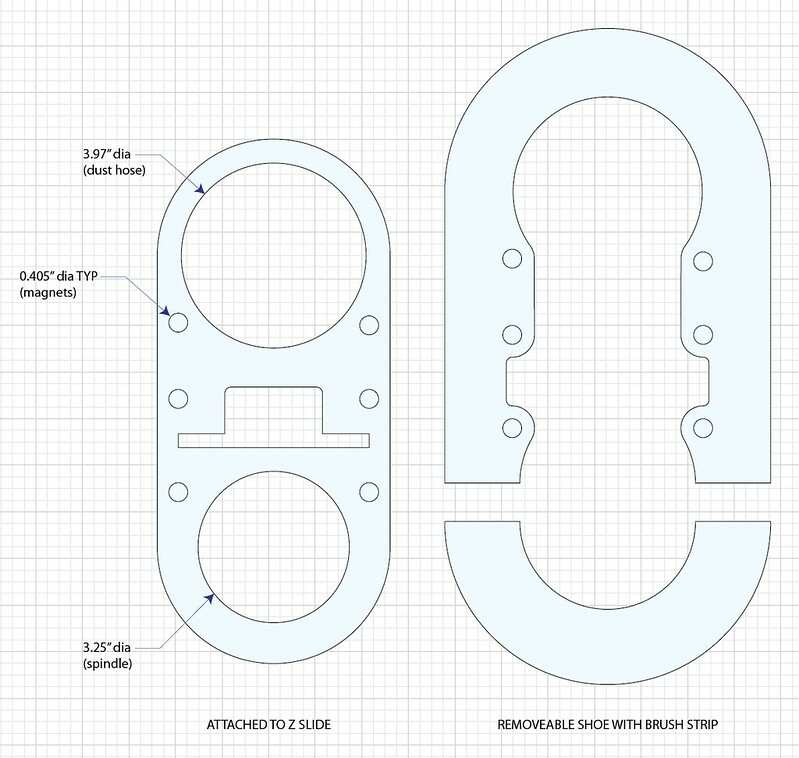 I finally got around to designing a proper dust shoe for Mechmate #123 and after using it a few weeks I can confirm that it is a solid design. I love it when a plan comes together. 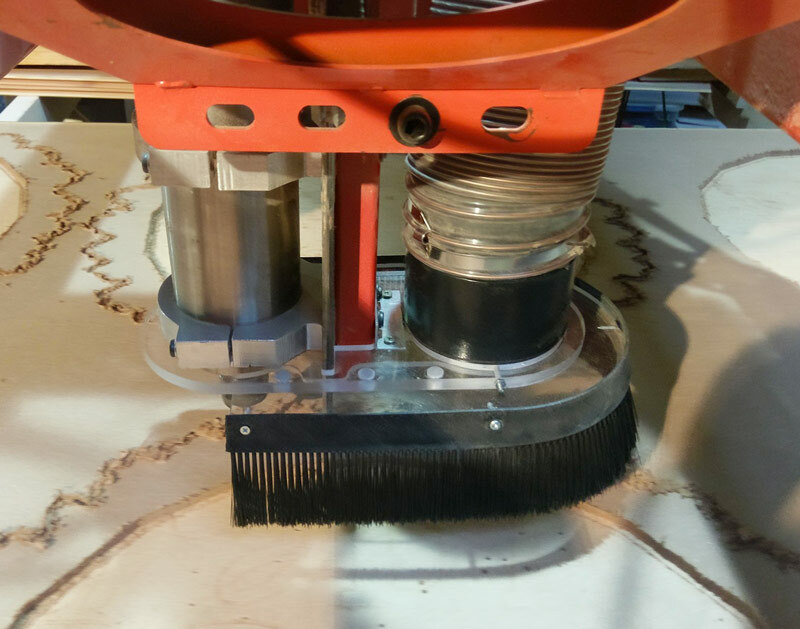 Brush strip was ordered from McMaster Carr. A 3 ft length is the perfect amount for this dust shoe. - The lower portion is attached to the top via 6X 10mm neodymium magnets epoxied into the milled recesses; Double check your polarity before you glue those magnets in! Questions? Hit me up. Vector PDF is included so you can make your own. Kool. I just came in to look for plan for a dust shoe and here it is. you can set the z home in mach 3 and also set the safe z parking position. I use Kents Dust shoe on my machine now. I really like this design with the ability to see the bit. With a spindle not an air blowing porter cable. All times are GMT -6. The time now is 18:19.